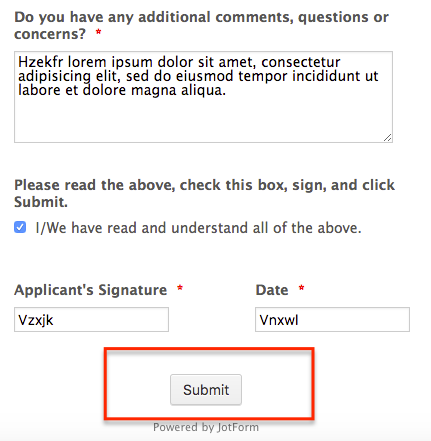 I just tried using the direct link to my form and filled it out as a test, but there is no button at the bottom to actually submit it. How is someone supposed to actually submit it to me? I could not replicate the issue at my end. I would suggest you to clear the form cache and the browser cache and check again.